The Battle of Midway (4-7 June 1942) was the defining naval engagement of the Pacific Campaign during WWII. It occurred just six months after Japan’s surprise attack on Pearl Harbor and resulted in a decisive victory for the US Navy (USN). The battle resulted in the loss of four Japanese aircraft carriers, a heavy cruiser, 248 carrier-borne aircraft and 3,057 sailors, a costly blow the Imperial Japanese Navy (IJN) and its shipbuilding industry couldn’t recover from. 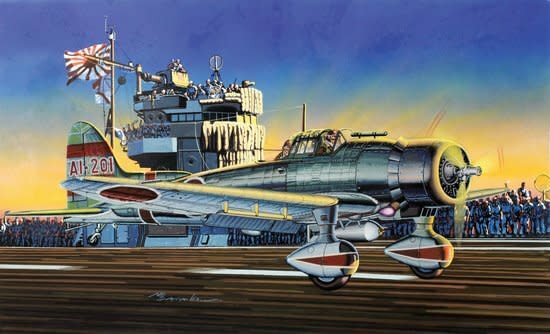 One historian even called it “the most stunning and decisive blow in the history of naval warfare.” The IJN attacked Midway Atoll and sought to sweep the USN into oblivion via an ambush. However, the US had been able to break Japanese codes and so the USA sprung its own trap on the Japanese! 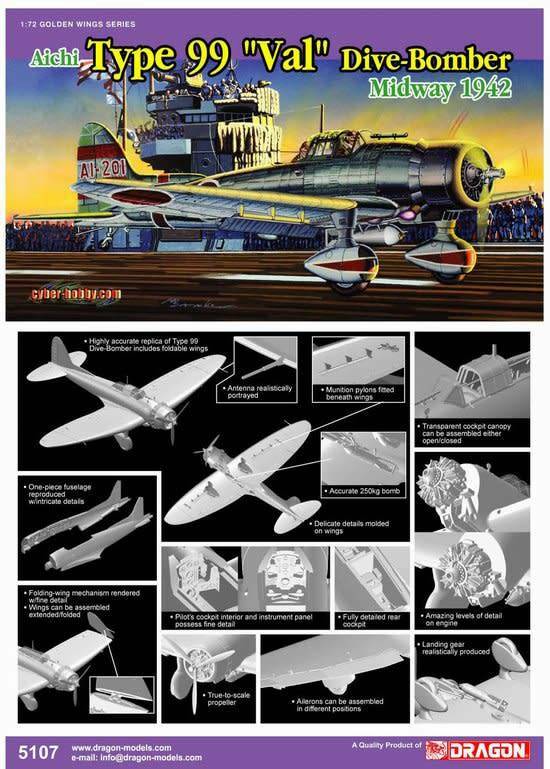 Cyber-Hobby is proud to announce the release of a 1/72 scale kit of a Japanese Aichi D3A dive-bomber that took part in this fierce battle. 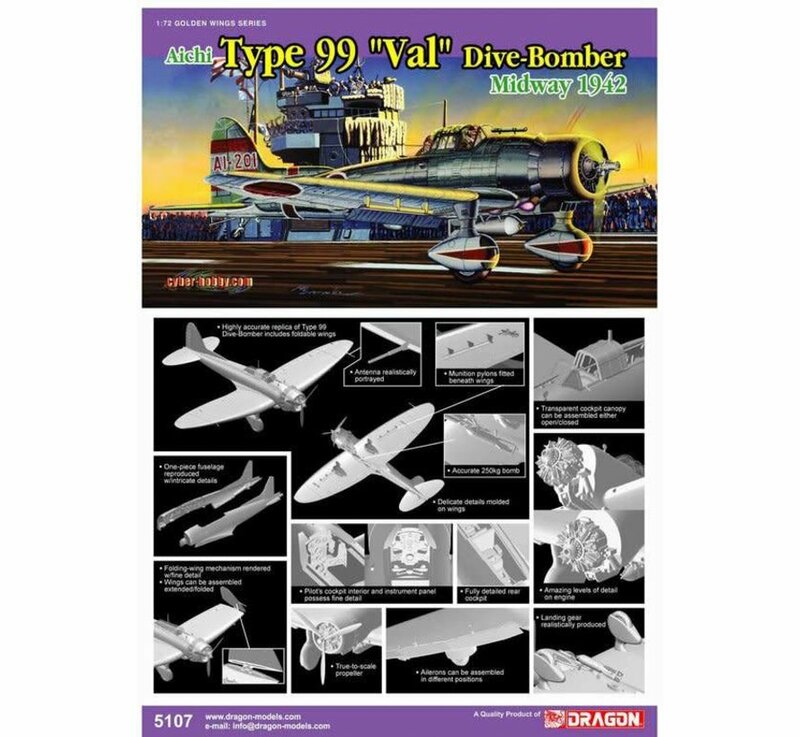 Cyber-Hobby has done a sterling job on this 1/72 dive-bomber kit. 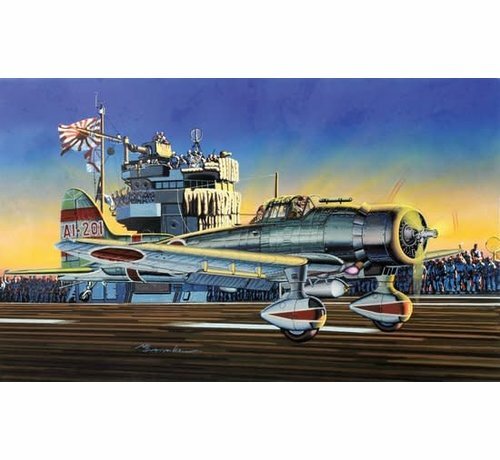 This time it comes with brand new Cartograf decals that offer a splendid selection of markings suitable for aircraft participating in the Battle of Midway. It uses the same toolings that were created using highly advanced CAD techniques, and the result is an amazingly detailed aircraft. The engine and cockpit are both fully represented. 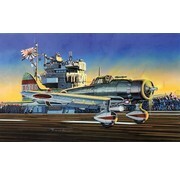 Due to its primary role as a dive-bomber, the model sensibly comes with a payload of a 250kg bomb. And as a carrier-borne aircraft, its 14.37m-wide wings could be folded up to save space. This feature too is carried over into the model; builders can select whether they want the plane to have folded or extended wings. There are no halfway measures when it comes to the detail exhibited on this Midway Aicha Type 99 model!